Zaragoza Aragon Holiday homes in Zaragoza Aragon for an unforgettable holiday. 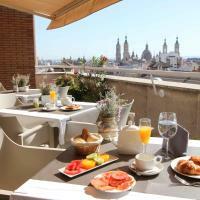 We offer you the best holiday houses in Zaragoza Aragon at the nicest spots. View our array of holiday homes, bungalows, apartments and holiday parks in Aragon and book your holiday home here. Featuring free WiFi and heating, Alierta is set in Zaragoza. Private parking is available on site. The units are fitted with a dining area and a kitchen including an oven, fridge and toaster. 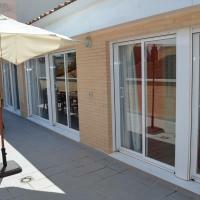 The air-conditioned accommodation at Aparthotel Los Girasoles features free Wi-Fi and a TV. Some apartments come a spa bath and a hairdryer. Los Girasoles’ Club Van Gogh café-restaurant serves Mediterranean food from Monday to Saturday. El Tubo, Zaragoza’s main tapas street, is just 5 minutes’ walk away. Private parking is available in the same building at an additional cost. Aparthotel Los Girasoles has been welcoming Booking.com guests since 11 Mar 2005. Set in an 18th-century building, Hotel Paris Centro offers accommodation with free WiFi and a terrace with city views in Zaragoza, 3 minutes’ walk from the Cathedral and El Pilar Church. All rooms are equipped with a flat-screen TV with satellite channels, welcome ket. You will find a kettle in the room. There are free toiletries and a hairdryer in the bathroom. A pillow menu is also available. A buffet breakfast is served daily and you will find a 24-hour front desk at the property and you can get tourist information here. Bike hire is available at this hotel and car hire is also available. The nearest airport is Zaragoza Airport, 13 km from Hotel Paris Centro. Private parking is available on site. 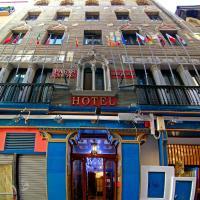 Hotel Paris Centro has been welcoming Booking.com guests since 2 Dec 2009. Casa Palacio de los Sitios is set in central of town, 500 metres from the city’s basilica and Plaza del Pilar. It features well-equipped apartments with balconies and free internet access. Accommodation Booked 5 times today. The apartments are housed in an 18th-century, listed building which maintains its original facade. Each apartment features contemporary décor, parquet flooring and has a seating area with a TV and DVD player. You can also rent laptops from reception. Guests receive free oil and vinegar on arrival. The hotel also offers free tickets to jazz and other concerts in the area. The Palacio de los Sitios can provide guests with information on local tourist attractions and discounts for the theatre, aquarium and other sights. There is also a luggage storage service. The apartments are approximately 200 m from Azud Park and Huerva River. Zaragoza’s Delicias Train Station is just over 3 km away. Casa Palacio de los Sitios has been welcoming Booking.com guests since 14 Aug 2009. Aragon (Aragón in Spanish) is situated in the northeast of Spain. It is bordered by Catalonia in the east, and Valencia in the south. On its western flank are Castile-La Mancha, Castile-Leon, La Rioja and Navarre. Northwards, it borders France for 136 kms. As a consequence, Aragon has always played a pivotal role as the central passage between Portugal and Spain and the rest of Europe. There are three provinces in Aragon, Spain: Huesca in the north, Zaragoza in the middle and Teruel in the south. With a surface area of some 47,700 km2 (approximately 9.4% of Spain’s total), Aragon is larger than European countries such as Denmark, Holland and Switzerland. The population of the region is approximately 1,220,000, its capital city being Zaragoza. The central area consists of the Ebro Basin (la Depresíon del Ebro), in the north are the Pyrenees (los Pireneos) and running southeast to northwest are the Iberian mountains (el Sistema Ibérico). The mountains of Aragon themselves help to create different climatic zones. The Pyrenees and Iberian mountain ranges are higher, and so are generally cold: snow is a feature here and so skiing and other winter sports are an attraction. By contrast, the large, flat lowland area of the Ebro basin has little rainfall, cold winters and hot summers. Castilian Spanish is the official language of Aragon, but there is an Aragonese language (Aragonés), which is still spoken in some valleys of the Pyrenees, and is distinct from the Aragonese dialect of Castilian. Catalan (Català, in Catalan) is also spoken in some areas adjacent to Catalonia. Take A Break Holidays takeabreakholidays. Zaragoza Accommodation.